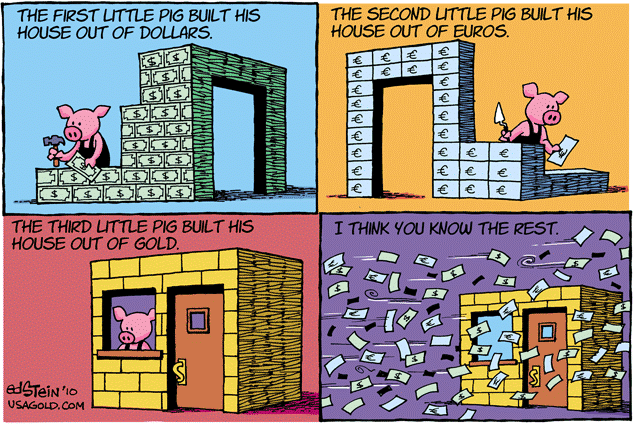 Stewart Dougherty is back with scathing commentary about the big mining companies – Barrick, Newmont, Goldcorp, etc – and their unwillingness to fight the obvious intervention in the gold and silver markets by western Central Banks and Governments. The first bear market ran from 1980 until 2001, during which the gold price was savaged from $850 to $250 in nominal dollars, a plunge of 71%. Inflation-adjusted to today’s dollars, the carnage was even worse: it collapsed from $2,674 to $344, an 87% implosion. During the entire 37+ year period, and particularly during the 27+ years of outright price annihilation, the major gold miners have done precisely nothing to expand the market for physical gold via advertising, direct marketing or any of the other proven demand-creation techniques. They have also done nothing to support gold’s price in any way, or to take action against the criminal price manipulators. Mint Suspends Silver Eagle Production – 2008 Redux? Silver Doctors invited me on their weekly Metals & Markets program to discuss notable events unfolding in the physical precious metals markets, the meaning of the Mint suspending 2016 silver eagle production several weeks earlier than normal, the bond market blood bath and other market occurrences that are eerily similar to events which unfolded before the 2008 de facto financial market collapse. IRD is featuring an extraordinarily undervalued gold producer in its next issue of the Mining Stock Journal (out tomorrow). The previous issue featured a sell recommendation that might surprise those who own this particular stock. 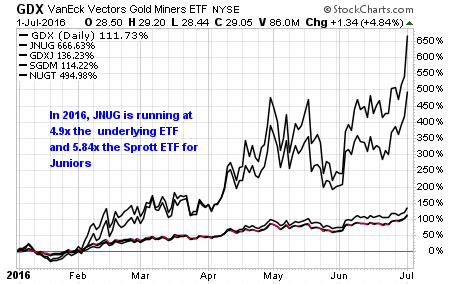 It also contained trading ideas on some high quality larger cap mining stocks that will bounce back quickly when this latest take-down of the precious metals market passes (likely this week). You can subscribe to the Mining Stock Journal with this link – MSJ Subscription. All of the back-issues are included (email delivery-based). Gold And The Dollar Moving In Tandem? One interesting occurrence that has not been written about in the precious metals alternative media or blog space yet is that gold has been quietly moving in tandem with the dollar over the past several trading sessions. It has been quite pronounced during the past four trading days, today inclusive. In the previous 15 years, gold’s best periods of return have occurred when gold and the dollar move in tandem higher for a brief period of time, followed by a period of time when the dollar heads south and gold continues higher. If you look at graphs of both gold and the dollar side by side, you’ll see that this occurred in late 2005 into early 2006, when gold moved higher until May while the dollar fell and again in late 2008. It’s too early tell if that will happen now, but suffice it to say that both are moving in tandem right now and it’s worth watching to see if it continues. My theory is that there’s flight to safety into gold and the dollar ahead of an adverse economic event. As the event unfolds, the dollar begins to sell off but capital continues to flow into gold as the ultimate wealth preservation asset. Interestingly, gold and the dollar have been moving in tandem the past several days. Not perfect correlation but I bet its 80-85%. I discussed this in the latest issue of my Mining Stock Journal. Over the last 15 years, gold has had some of its best performance periods when it moved in tandem with the dollar for a bit then took off higher while the dollar sold off. It’s been moving in tandem with the dollar today as well. The manipulated correction is over. India and China are buying a LOT of gold right now. Two days ago nearly 100 tonnes were delivered onto the SGE. I don’t think the cartel can take gold lower and I think right now they are merely trying to keep the “beachball” from popping above the surface of the water. Every time gold pops up, they hit it, but gold bounces back like one of those punching clowns. At some point they are going to have to go back into “managed retreat.” Maybe once the election is over. You’ll note that there’s now been a complete reversal in the precious metals sector, with gold, silver and the HUI running higher and the SPX/Dow headed south. MSJ subscribers have been getting analysis like this since early March. In addition, my picks have been substantially outperforming the sector. MSJ is $20/month, with no minimum commitment period. You can access this content by clicking here: Mining Stock Journal. The precious metals market is at the end of its typical mid-July to last August “breather.” This is the time of the year when the eastern hempisphere physical buyers are somewhat dormant. Over the last several years, China’s emergence as the world’s largest gold importer has somewhat reduced the late summer seasonal sell-off. But it’s the period of the year when it’s the easiest for the paper manipulators to push the price of gold lower. Quite frankly, gold is up 25% since mid-December and 10% since early June. Notwithstanding the fact that, if left alone to trade freely, gold would go parabolic for at least $700-$1000, it’s been one of the best performing asset classes YTD and can use “technical breather.” But India is starting to flex its muscle as it heads into its biggest seasonal gold buying period of the year from right around now to mid-December. On the other hand, the housing market is getting ready to rollover. Its already crashing in some areas (Hampton, Aspen, Miami), as noted by Investment Research Dynamic’s Short Seller’s Journal two weeks ago. The higher end of the price spectrum is loaded with inventory in most major MSAs and inventories in the middle and upper-middle price segments are building quickly. July was negative month for existing home sales and mortgage applications. The only area homes were being “sold” was in the Government’s highly manipulated new home sales report. 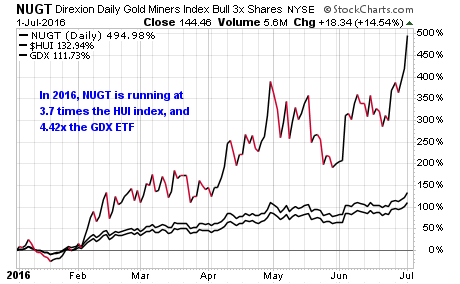 After the collapse of Lehman and the “official” great financial crisis, gold ran up 260%, silver soared 500% and the mining shares per the HUI moved up 418% – many junior mining shares spiked up multiples of the HUI’s percentage move. Note: the current delivery-month for Comex gold is June – I absent-mindely reference July as the current gold delivery month in the podcast below. The trading patterns in gold/silver are starting to reflect the real possibility that the Central Banks are losing their ability to use paper gold/silver derivatives a price manipulation device. Nowhere is this more evident than on the Comex, where the ratio of paper gold/silver futures vs. the amount reported physical gold/silver available for delivery into those paper claims is at historically high levels. Elijah Johnson of FinanceAndLiberty.com invited me on to his podcast show to discuss the precious metals market, along several other topics. Elijah posted the portion of the show in which we specifically discuss Comex gold trading because it coincides with the strong move higher made by the metals this week. The disappearing stock of physical gold on the Comex and the LBMA has been documented and discussed by several analysts recently, including this website. In correlation with the disappearing physical gold is the preposterous amount of paper gold claims issued against the dwindling supply of gold both in NY and London. But what does it mean and where is all this gold going? Many will chuckle at the proposition of Western gold market failure and note that the price of gold has gone nowhere. If the markets are in collapse due to lack of available of gold, then where is the price action exploding to the upside? Well, digital gold and silver are still available in copious (infinite) amounts and continue to trade on both the LBMA and COMEX exchanges – you can have as much digital or virtual metal as you want on these digital exchanges. There is no shortage of virtual metal and thus the virtual price that most investors follow won’t move up. The bullion banks have always sold-down this virtual gold price when it has risen. The telling of the story is instead in physical metal availability and so we look first to the LBMA – the primary global ‘physical’ exchange. The LBMA indicates in it owns market guide that its primary gold trading contracts, unallocated spot market contracts which are claims for spot physical gold (ownership right-here, right-now), give the holder just an unsecured claim for physical gold. This has allowed the creation and trading of non-existent gold to the point that the London spot physical gold market trades 200% of the global annual gold mine production of gold – each day. We must not forget that when Germany, in 2013, asked for the return of 674 tonnes of their gold primarily from the Federal Reserve and some from France, they only received 5 tonnes. They were then told that they could get the rest back by 2020. They then announced that they actually received around 150 tonnes back in 2014.